DUALIS: Get one of five copies for free! Get one of five copies of our new typeface DUALIS for free! Just press "like" below the posting on Facebook to take part at the raffle and win one copy. (Deadline is June 14th, 9 a.m. UTC+02). Dualis is the font you need when a classical and at the same time modern design is desirable. 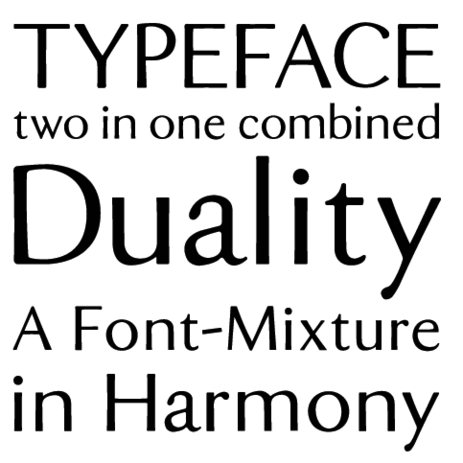 With its harmonious forms it can be mixed very good with other fonts and gives each work an elegant touch. Due to its higher x-height, it looks more modern than the classical typefaces on which it is based.